This meme is totally awesome…. But I just added a bunch of 2018 releases to my TBR. Wrong direction much? Anyhoo, let’s get this party started! After last week’s Down the TBR Hole, I created a category for DTTH, so if you’re ever interested, you can look through all my past weeks of it! Anyhoo, here’s how this thing works! Harper is an aspiring poet, and life is giving her a lot to write about just now. Daddy up and walked out, leaving them with too many bills, too little money, and an eviction notice. Now Mama is scrambling to make ends meet, leaving Harper to stay home and take care of her brother. 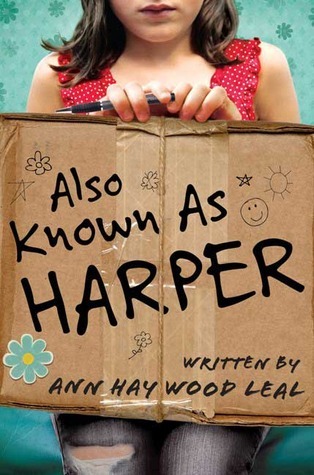 Their whole world has been turned upside down, which Harper could just about handle—if it wasn’t for the poetry contest at school. More than anything, she wants to get up on that stage and read her poems out loud. But how can she worry about getting back to school when she doesn’t even know where she’s going to sleep tonight? This one’s tough! I don’t know anyone who has read this, and the blurb still looks rather interesting. Still, I’ve clearly had it on my TBR for ages and haven’t picked it up yet. I’ll say a tentative go, but let me know if I desperately need to keep this one! I actually own this book- It was kind of gold in a used bookstore! Everyone also seems to love it, and the concept sounds super interesting. A definite keep! I have, obviously, read the first two books in this series- a long time ago. I loved Just Ella, which was amazing. 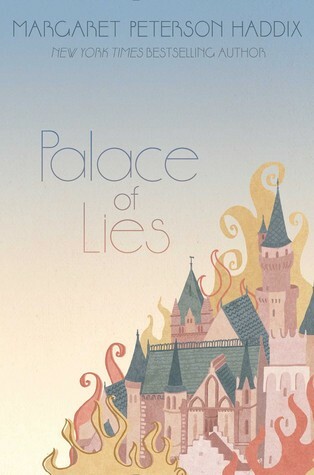 Palace of Mirrors was set in the same universe, so we got to see an appearance from the characters of the first book, but it was based around a completely different story and characters. Therefore, especially since I read the first two so long ago, I’m going to say this one can go. Although lacking in cover love (argh), I LOVE heist books and thief families, and the synopsis for this one sounds super fun. WHY HAVE I NOT READ THIS YET. Someone please tell me what I’m doing with my life. KEEP. I was SO EXCITED about this book for aaaaaages. I just never got around to reading it! It still sounds interesting, but it sounds like most people honestly just think it’s boring, especially the couple of Goodreads friends I have who’ve read it. I can let this one go. OH. MY. GAWSH. This book STILL sounds so amazing. The ONLY reason I haven’t read it yet is because I have to buy it… And when I first added this to my TBR, I hadn’t heard of Book Outlet yet. OKAY, THIS IS GOING ON MY WISHLIST. Keep, of course! Jaya, Maria, and Lola are just like the other eight-grade girls in wealthy Meadowbrook, New Jersey. They love sharing frappes with their best friends after school, complaining about the other kids, and looking forward to the spring dance. But there’s one big difference: These three girls are the daughters of maids and nannies. And they go to school with the very same kids whose families their mothers work for. What the girls believed was the strongest of friendships is shattered when Jaya’s mother is accused of theft and loses her job. As tensions about immigrants begin to erupt across town, the ugly underbelly of this perfect suburb comes to the surface, and the girls’ fragile world collapses. 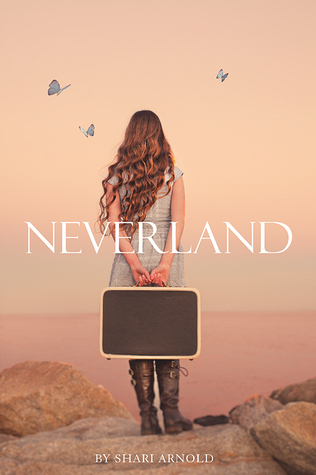 Suddenly each girl is on her own to find her place in a town that barely notices she exists. 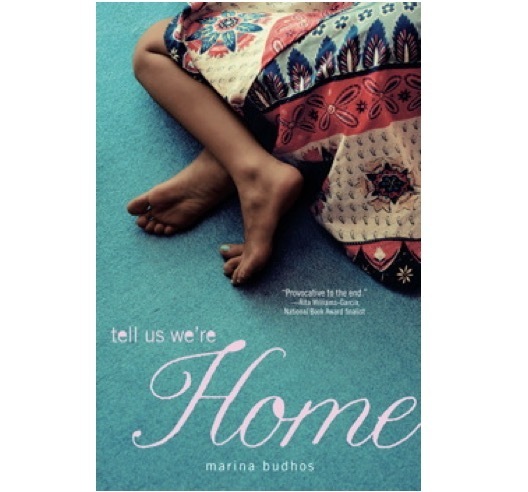 In this heartbreaking and eye-opening story, Jaya, Maria, and Lola must find their way back to one another, and ultimately, find their way home. This honestly still looks pretty interesting, and I do believe I still own it- Agh, this is hard! Most people don’t seem to hate this one, but also don’t love it. I’m on the fence about this one, but since I believe I own this one, I’ll say I’ll keep it. Let me know what you think of this one though! 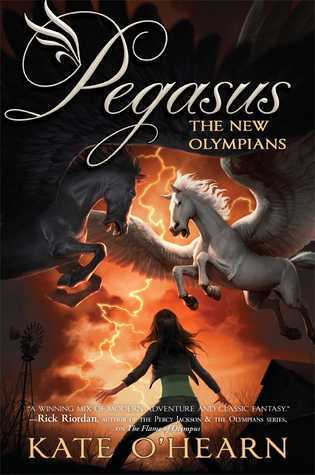 Basically, this is the third book in the Pegasus series. I read the first two and quite enjoyed them, but nothing like a Rick Riordan book, and I still haven’t read all of those! Besides, it’s been a really long time since I read the first two, and I barely remember anything that happened. I’m not even sure if I own this one anymore! It can definitely go. When Wendy Everly was six-years-old, her mother was convinced she was a monster and tried to kill her. 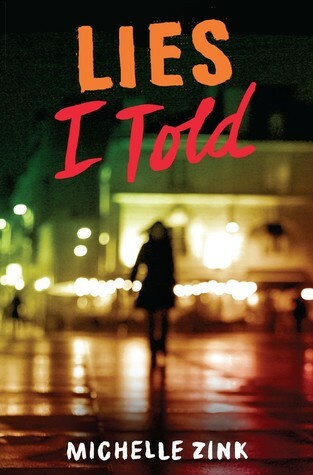 It isn’t until eleven years later that Wendy finds out her mother might’ve been telling the truth. With the help of Finn Holmes, Wendy finds herself in a world she never knew existed—and it’s one she’s not sure if she wants to be a part of. Last week, the first book I got rid of was Ice Kissed, which is the sequel to Frostfire, which is the first book in a spin-off series to this series. Which I didn’t know existed until after I read Frostfire. Oops. In any case, I really loved Frostfire, and even though there are some really mixed reviews about this book, most people seem to like it, and I definitely want to give it a shot! I mean, hey, it’s at my library, so why not? I’ll keep this one. But when Jonathan confuses his worlds senior year and tries to kiss the real Kylie Simms, everything unravels. The real Kylie actually notices Jonathan … and begins obsessing over him. 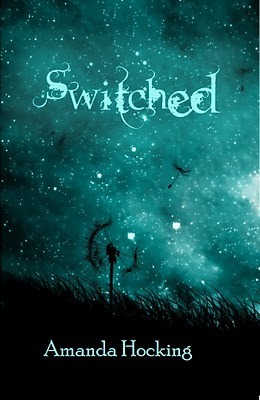 The fantasy version of Kylie struggles to love Jonathan as she was created to do, and the consequences are disastrous. 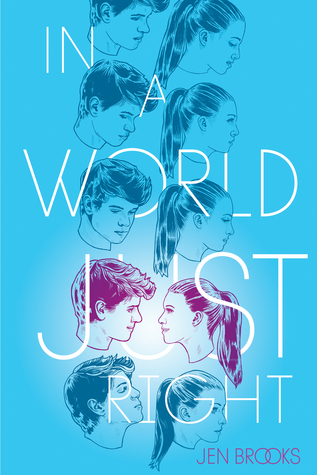 As his worlds collide, Jonathan must confront the truth of his power and figure out where he actually belongs—before he loses both Kylies forever. This book honestly sounds super interesting and I love the premise, hence me adding it in the first place! However, I looked at some of the reviews, and although I might have enjoyed this book a few years ago, if it really plays out the way most people are describing it, I really won’t enjoy this very much. I don’t know that I would even get through it! I don’t know anyone that’s read this, though, so do let me know if you’ve read this one; I’m very tentative about letting this one go! And that’s ten! I just counted, and somehow, in keeping with tradition, I’ve gotten rid of 5/10 books again! Let me know what you thought of these books, if I desperately need to read a book I got rid of, or vice versa! I hope you guys are still enjoying this meme. Feel free to do this, and if you do, make sure to let me know! I’d love to check it out! P.S. I haven’t been around a lot lately because I was at a church camp (to paint houses for people who can’t) for a few days, had Saturday off, and am now on vacation. So if I disappear for a little while, it’s because I’m on vacation and there’s no guarantee I’ll get posts scheduled before my surgery, or when I’ll be feeling up to coming back after surgery. That said, I’ll try to write a couple reviews on my phone while on vacation; we’ll just have to see how it goes! Thanks, I’ll miss you guys! 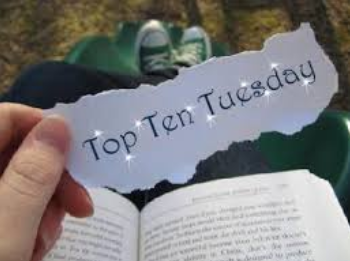 ‹ PreviousDown the TBR Hole: Trying Not to Drown! Next ›Time in a Bottle: An Unexpectedly Interesting Read! You’re still doing great! I missed mine yesterday bc I wasn’t feeling well! Keep up the good work. Hahaha thanks! I scheduled this one in advance. I might end up missing a couple weeks because I’m on vacation and then I’ll have my surgery, but we’ll see! Wow. Some great sounding books here. I probably should do this to my Goodreads list – but nah, too overwhelming! 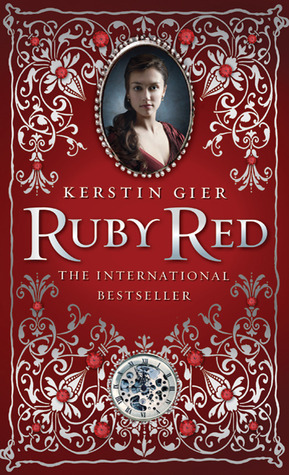 A lot of people like the Ruby Red series so I’d say it was a good idea to keep it. That’s true. Thanks for the advice! Hahaha definitely! What number are you up to? I totally agree. I know I mentioned it last week, but I still really love this idea. I think I might need to join up with this meme soon! Oh really? That’s so interesting that you say that! Hahaha I totally understand. Doesn’t it though??? I want to read it so badly! I haven’t read any of these so I can’t help you out but I did hear that Mechanica was a bit of a let-down. What a fun meme! Will definitely give this one a try. Too bad Mechanica was boring, I love Steampunk-y things. 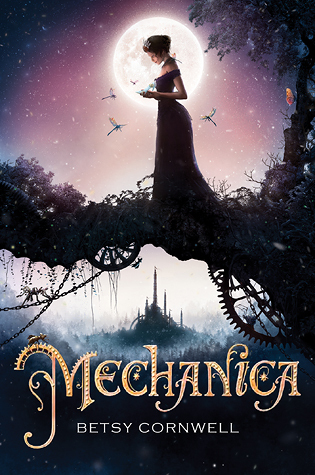 I read a graphic novel called Lady Mechanika and it’s totally fun. Awesome! Let me know when you do; I’d love to see it! I haven’t read Mechanica; maybe you’d like it! Hahaha whoops! Sorry not sorry! I think I started this meme at 692 but I added around 20 books and I CANT GET RID OF ANY OF THEM THEY ARE TOO PRECIOUS so I’ve basically made zero progress. Halp I am a books addict. My tbr list is different from all of yours possibly. It’s to be read because it’s been purchased and is on the shelf. But I will do the odd books I want to read post. That makes sense! Thanks for sharing! The Cornwall cover is AMAZING! I purged my Goodreads shelf completely maybe 2 years ago. Only kept the ones I’d already read on my list. Everything else went off. I’ve added a bunch since then but try to be careful about it. I know, isn’t it though? That’s amazing! I’m jealous but I think it would just about kill me to do that haha. Fun fact: I might have actually mixed up Mechanica and Cinder at one point in my book life… XD Thankfully, I read the right one.